iCloud storage full? So you're looking for some feasible ways to backup old iPhone without iCloud before you upgrade to iPhone 8 or iPhone X. Fortunately, it's not a daunting job to make a copy of your iPhone anymore. In this article, I'm going to show you 2 methods to backup iPhone to Mac and then restore to iPhone 8/iPhone X easily. I know how painful it is that iCloud not working and you are to lose iPhone data. Certainly, you can always go the Apple route, but iCloud aren't the only way, plus you'll pay more for iCloud's storage services than you might for a third-party app since iCloud currently offers only 5GB of free storage. Thus I've compiled some of the best resources for backing up your iPhone without iCloud. Luckily, there are other iPhone backup tools available that can keep your data safe and secure. Here are 2 great iCloud alternatives for backing up old iPhone data to iPhone X and iPhone 8/8 Plus, including music, photos, videos and contacts easily and flawlessly. 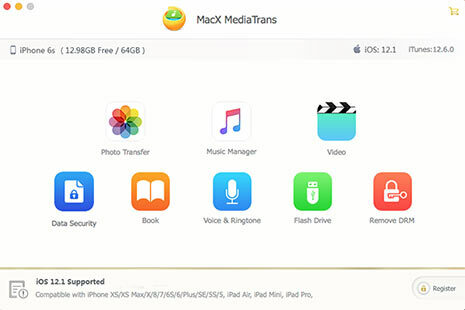 MacX MediaTrans - An iPhone backup software without iCloud limits. * Free copy & transfer iPhone photo, music, movies, video, iTunes purchase and more. * Create a backup for iPhone on Mac/PC without iCloud 5GB free storage limits. * Restore old iPhone backups to iPhone X/8/Plus in one click. * Manage/edit/organize iPhone data and delete unwanted files in a click. * Remove DRM from purchased music, movies etc. and convert to DRM-free format. 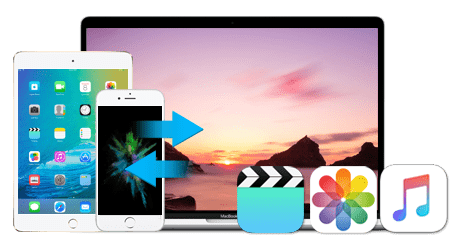 MacX MediaTrans is an easy-to-use iPhone backup extractor which helps to backup a wide range of file types, like photos, movies, TV shows, videos, music, DRM contents, purchases and more from old iPhone to Mac/PC without wiping any existing data for iPhone 8 iPhone X upgrade. This iCloud alternative also offers the ability to manage organize, edit, delete iPhone data in batch or one by one. You are also allowed to remove DRM and convert to DRM-free format when exporting iPhone data, such as M4V to MP4, M4B to MP3. Unlike iCloud, it allows you to access and read any iPhone backup files without Internet connection. 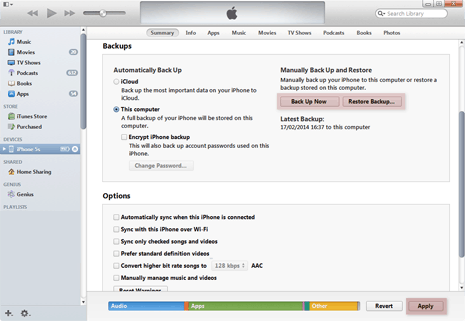 Before backing up iPhone, you should download the iPhone backup extractor for Mac or for Windows. Step 1: Launch the progrma on your Mac. Step 2: Launch it and then connect your old iPhone 7/7 Plus/6/6 Plus/5S to Mac with a USB cable. Step 3: Select the location in which you would like to store your files by clicking on "Settings". The selected files will transfer to that location. Step 4: Click "Photo Transfer" to transfer photo from iPhone to Mac, or "Music Manager" or "Video" or "Book" to choose the target media files. Then click "Export" on the top of the window and backup iPhone to Mac or PC without iCloud. Step 5: Then you can transfer old iPhone backups to iPhone X/8/Plus by clicking import and sync buttons. Tick "Select All" if you prefer to transfer all music from iPhone to Mac, so do photo, videos and other data. Click on individual files if you want to backup selectively. In addition to iCloud, Apple offers the other way to help you make a copy of music, photos, videos, contacts on iPhone, i.e. iTunes. It is also one of the most common methods that will come to your mind when talking about iPhone backup without iCloud. Let's take a close look at how to backup iPhone file data to iTunes for iPhone 8 and iPhone X upgrade step by step. We also enlist iTunes alternatives to backup iPhone to Mac without iTunes. Step 1: Open iTunes and connect your iPhone to computer with a USB cable. Step 2: Wait seconds and iTunes will automatically detect your iPhone and then show it in the left sidebar. Check out how to solve iTunes not recognizing iPhone if your iPhone is not connected. Step 3: Choose your iPhone Under "DEVICES". By doing so, your iPhone control panel will be shown on the right of the main interface. Step 4: Click "Summary" and scroll down the window until find the backups section. Then tick "This computer" and press "Back Up Now". After that, you can remove your old iPhone from the computer, and restore the backups to iPhone X/iPhone 8/Plus. All done, the iPhone backup process begins. It will take you some time. Just wait until the process is completed. Then the music, photos, videos or contacts on your iPhone will be transferred to Mac or Windows PC. You may notice that iTunes backup almost all data on your iPhone at a time but doesn't allow you selectively back up specific songs, photos, videos or contacts. Moreover, it will automatically replace old songs with new one, thus you are very likely to lose your favorite music in syncing. Even worse, it backs up all files to C drive by default and doesn't support manually choosing destination folder, filling up your system disk and slowing down running speed. So if you want to backup iPhone without iCloud and enjoy maximum freedom, you must give the best iCloud alternative a shot. Professional backup software for iPhone, iPod, iPad. It can bulk copy and transfer data from iPhone iPad iPod to Mac, including photos, iTunes purchases, DRM data, videos, music, ebooks, ringtones and more, without iCloud. iCloud Backup Could Not be Completed? Problem Fixed!